With the advent of the internet, we’re no longer restricted to buying a horse trailer from the local dealer. One dilemma created by this freedom is how to get your horse trailer once you’ve bought it. Do you pick it up yourself, which may involve traveling a long distance, or pay shipping charges and have it delivered? Naturally, this consideration would cross the mind of anyone contemplating buying a horse trailer online. And what do you get for this expense? 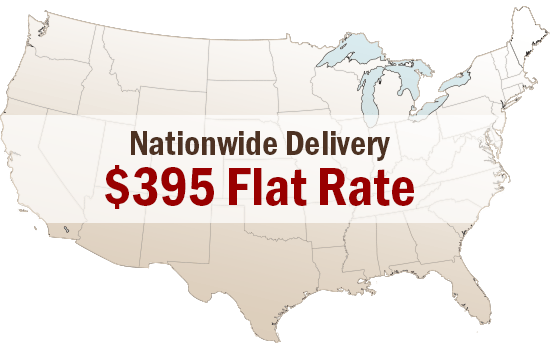 Delivery of your trailer, to your door, at a time that works best for you - evenings, weekends, or even on Sundays. Delivery drivers who spend time with you to answer questions concerning your trailer. Our drivers are insured and bonded so if anything happens to your horse trailer en route, it’s our problem. Everyone loves receiving a package in the mail. So imagine how great it would be to see your shiny new horse trailer pulling into your driveway. If you’d like to learn more about our horse trailer delivery program, click here.